EDINBURG — Coming into Thursday’s game at Bert Ogden Area against the Oklahoma City Blue, RGV Vipers forward Bruno Caboclo said he wasn’t feeling his best. Still he was ready to play, and when he got to the court for his pregame shootaround, the 3s started falling. Caboclo rode his hot hand to his third double-double of the season. He posted season-highs in points, 26, and rebounds, 12. His 12 rebounds were a game-high against the G League’s best offensive-rebounding team. The Blue are third in the league in rebounding percentage. Caboclo’s dominant showing wasn’t enough, as the Blue rallied from being down 20 at one point, to win 110-99 on Thursday, snapping the Vipers five-game win streak at Bert Ogden Arena. Without center Zhou Qi, who is with the Houston Rockets, the Vipers had just two big men to play against the Blue, who have shot the second most field goals per game inside of five feet. To make matters worse, a controversy sucked the life out of the Vipers at the worst possible moment. In transition Caboclo was called for a foul. Chris Walker was the only big man left standing to try to guard the Blue’s Davis. Davis scored 31 and hauled in 10 rebounds. The Blue had 7 total blocks. They outscored the Vipers 64-48 in the paint. 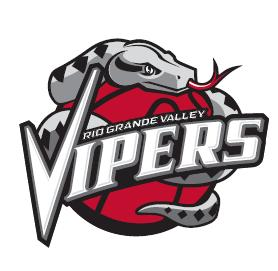 With point guard Angel Rodriguez sidelined with injury, and forward Danuel House now also with the Rockets, the Vipers played 10 players, but only 8 registered more than five minutes. The Vipers finished the game with neither Caboclo nor Chris Walker on the court. The Vipers have been able to overcome most signs of adversity with 3-point shooting. Coming into Thursday’s game, the Vipers were first in the league in 3-point makes, second in attempts and third in 3-point percentage. At the half, the Vipers were shooting 10-of-22 from 3. However, they finished the night 14 for 43. The Vipers were up big early. At the 3:41 mark of the second quarter, the Blue realized the path to victory. In a minute and a half, the Blue went on a 9-0 run, cutting the lead to nine. Davis had three of the four scores, and the other was a 3-pointer from sharpshooter Bryce Alford. From that point, the Vipers lead never grew past 15 points. The Blue hung tough, and struck at the right time. The Blue started the fourth quarter on a 7-0 run to cut the lead to two. Forward Vincent Edwards returned to action for the Vipers after missing the last three games with injury. Edwards played a team-high 42 minutes and 17 seconds. He scored 17 with 9 rebounds and 3 assists. Edwards had no excuses for a tough loss, but he did well to sum up the impact of Caboclo’s departure. Now, the Vipers just have to turn around and do it all over again. They host the Salt Lake City Stars at 7 p.m. tonight at Bert Ogden Arena.